Es ist nicht der Blick allein, es ist die gesamte Hotelanlage, ohne die man ohne den Cocktail nicht kommt. Alles zusammen macht das Grossartige aus. 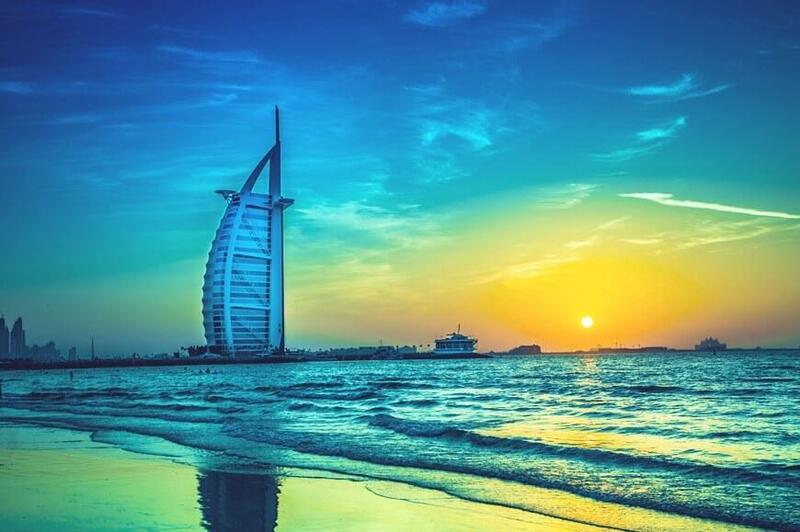 The striking, sail-like silhouette of the Burj Al Arab Jumeirah is undoubtedly a symbol of modern Dubai. But so breathtaking, the structure is when you see them with my own eyes, it's the service inside of the Burj Al Arab Jumeirah really excels. Repeatedly voted the most luxurious hotel in the world, this unique destination offers the finest service and an exquisite experience that is unparalleled. A wide range of unique experiences waiting for you, including a helicopter trip from the iconic helipad or a Rolls-Royce with a chauffeur, luxury and relaxation on the stunning outdoor terrace with pool and cabanas, not to mention some of the world's best restaurants, including the famous Nathan Outlaw At Al Mahara. The suite-only accommodation of the Burj Al Arab Jumeirah allowed a discreet check-in in their own suite, a private reception desk on every floor and provides personal butler service, which has placed you with joy our inimitable Arabic hospitality.